Spurred by the suicide of a British teen, Instagram is adding "sensitivity screens" to images of self-harm on its platform. "I have been deeply moved by the tragic stories that have come to light this past month of Molly Russell and other families affected by suicide and self-harm," said Adam Mosseri, who took over as head of Instagram after its founders left parent company Facebook last year, in an op-ed published in the Telegraph recently. "We are not yet where we need to be on the issues of suicide and self-harm." Molly was 14 when she killed herself in November 2017. Her parents later found suicide-related content on her Instagram and Pinterest accounts. A couple of weeks ago, her father told the BBC, "I have no doubt Instagram helped kill my daughter." 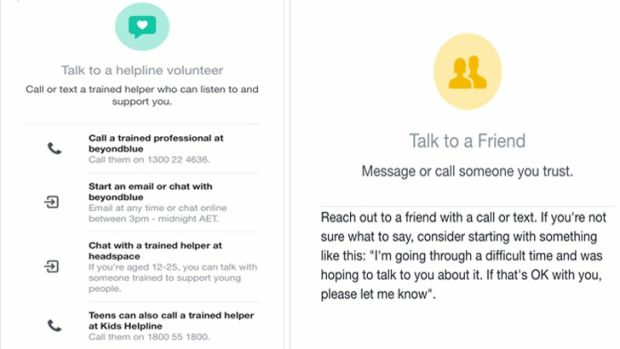 The sensitivity screen that pops up after a search for suicide or cutting says "Can we help?" along with a warning that the content could "encourage behaviour that can cause harm and even lead to death." 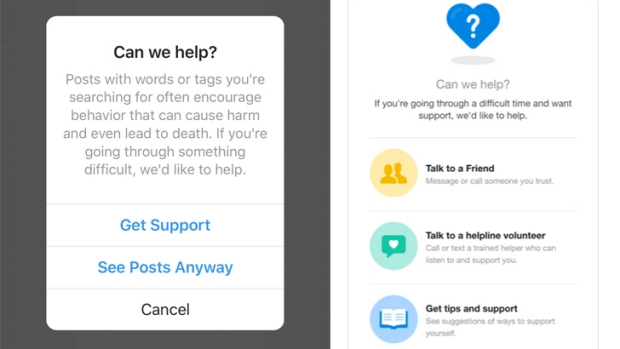 Instagram gives users the choice of clicking on "Get Support" or "See Posts Anyway." Mosseri said Instagram is taking other measures, including not recommending related images, hashtags and accounts. But he mentioned that the photo-sharing site, on the advice of mental health experts, does not want "to stigmatise mental health by deleting images that reflect the very hard and sensitive issues people are struggling with." As Molly's father said, the images are "still there, they're easy to find, not hidden." A recent search for "suicide" - followed by selecting "See Posts Anyway" - on Instagram yielded 8.1 million posts, while a search for "cutting" showed 5.6 million posts, although not all were related to self-harm. Mosseri is scheduled to meet with British health minister Matt Hancock, who recently urged social networks to ban self-harm images and warned that they could be banned if they don't.